BELLA VILLA CABANA is located on private beach called “Banglamung Beach” within a short distance from the busiest area of Pattaya center with a relaxing atmosphere and a private beach in the upcoming Channel district. The hotel is few minutes drive to popular golf courses, tourist destinations, upscale shops, eateries, beauty salons, entertainment centers. 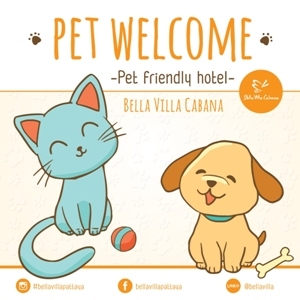 If you need the perfect escape from the busy city life, Bella Villa Cabana is an amazing retreat with the perfect value for money, either you are a couple looking for relaxation, or a family with kids getting the best deal for your little ones, Bella Villa Cabana Resort is the best choice for your Beach Front Resort in Pattaya. 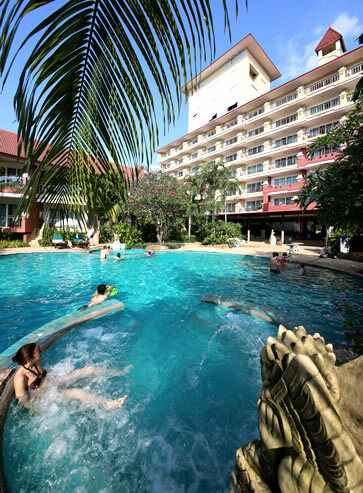 Enjoy the amazing Pool side with two children's swimming pools, amazing Thai and Western food with a 24 Hour room service and the Free WIFI in your room to connect to the net. Ask for your free WIFI password in your room. Enjoy free communication with your friends and family back home. Our rates are up to date, we offer instant confirmation on your booking 24 hours a day, so please click the rates on the left and choose the period of stay and you can see the exact rates of that period. Our website asks for Credit Card Guarantee but does not charge your card, so you pay when you arrive, All our transactions are secured by SSL Credit Card Security to guarantee safe transactions. Your information will never be shared to other parties. Please come and visit the Bella Villa Cabana for your best resort and relaxing holiay in Pattaya Beach.